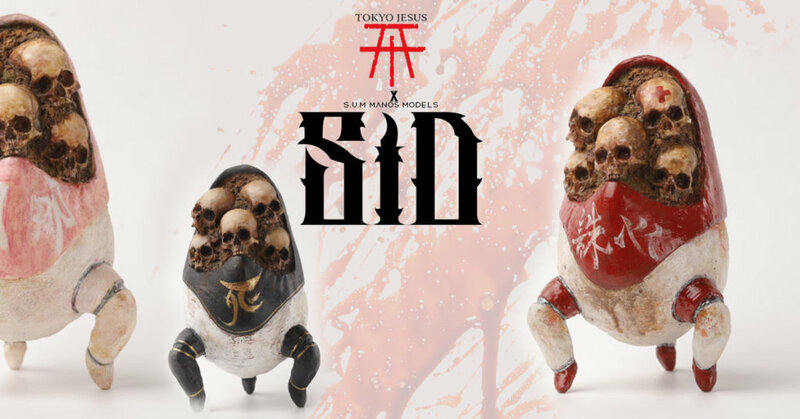 Brand spanking new year calls for some new work from Tokyo Jesus and S.U.M -Manos Models- (未匠) Designed and Sculpted by Tokyo Jesus SID will for spice up your Sunday. Part DEATH, part Mecha could SID be destined to take over the world? Purchase and inquiry for this piece click here. While we have your attention, check out Tokyo Jesus Dcon booth below *COUGH prototypes of future releases on display. You can find Tokyo Jesus via http://www.tokyojesus.net/, Instagram , Twitter and Facebook.